Mil Palmeras is a small coastal town located between Dehesa de Campoamor and Torre de la Horadada on the Orihuela Coasta, south of the Costa Blanca region of Spain, near to Murcia on the Costa Calida. The name Mil Palmeras means “One Thousand Palms”. Mil Palmeras is known for its sandy beaches and clean, clear water. It has all the usual amenities such as sun loungers, showers and toilets. There is also a volleyball net and it is an excellent spot for water sport enthusiasts. One of the most important points is that the beach has very good access for disabled people. Mil Palmeras has a good selection of restaurants and bars. The Olympia Bar and Restaurant is a popular choice to have a meal as it also has a swimming pool to enjoy an afternoon. A short walk from Mil Palmeras is Plaza de Pueblo Latino.This is frequented by the locals and tourists alike with its many bars, shops and restaurants positioned around a lovely square, where you can sit back, relax and watch the world go by. The small Spanish village of Torre de la Horadada is also within walking distance, with its beaches, restaurants, bars and ice-cream parlours overlooking the harbour. Mil Palmeras is a fantastic spot for golf lovers. Within a short driving distance there are four prestigious golf courses, Royal Campoamor golf club, Las Ramblas de Orihuela golf club, Villamartin golf club and the fabulous new Los Colinas golf club. Head further down south to the Mar Menor or Murcia and you will find more golf courses. Mil Palmeras is a notable beach town boasting good facilities and is a fantastic place for those wanting to travel south of the Costa Blanca. 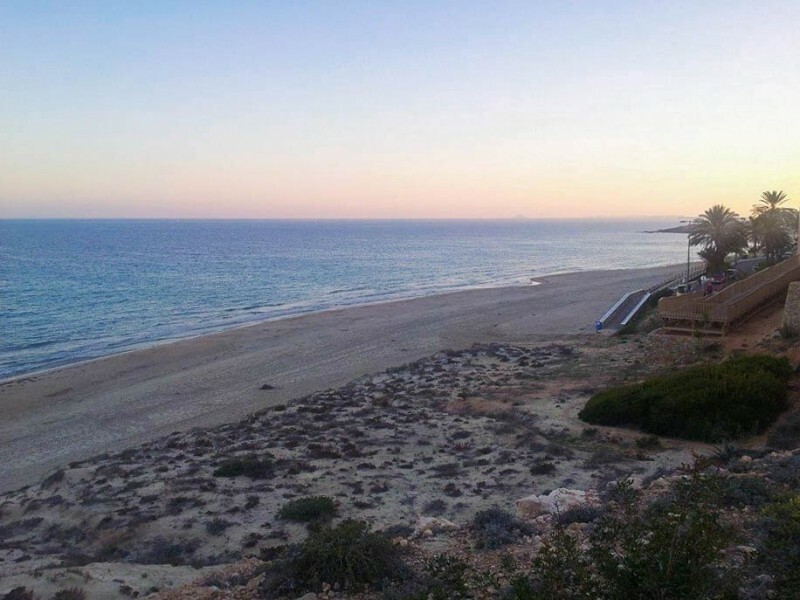 It is among the much loved Orihuela Costa seaside resorts and is twenty minutes driving distance from Murcia San Javier airport.